Expect big changes in how video is made, shared, and consumed in the coming year. In the past twelve months we’ve seen the first generation of web video business models draw to a close, and the emergence of devices and business models that will fuel powerful continued growth in the year ahead. My prediction is that YouTube won’t go out of the UGC business; in fact, it will be the exact opposite. I think you’ll see more creative ways to monetize YouTube, including new partnerships with portal players, third-party ad units, and the emergence of important sponsorship and co-branded pages. It’s unclear if YouTube will build these offerings, buy them, or partner with others to provide them. But AdSense text ads for video aren’t alone going to fund the future of the middle market of video. Instead, you’re going to see some number of business users look to take more control over their content, their ad units, and the community around their media. At the same time, the delivery system for video is very much under construction. The so-called “Over The Top” competitors have had a busy year–with Google TV falling flat, but version two looking promising, and Netflix’s Qwickster dying a quick death. At the same time, Boxee jumped into the business of providing digital ‘rabbit ears’ and Hulu briefly auctioned itself before returning to running the business. And now Microsoft moves to gain OTT dominance with a brand-new Xbox interface and more content deals. So, no clear winner here yet. Prediction #1. 2012 is the year all video goes a la carte. Remember all the promises of a new ‘a la-cart’ cable world, where consumers had choice and freedom? Well, you have to hand it to the cable guys, they’ve been able to keep that commodification of their product just out of arms’ reach for as long as anyone can remember. But 2012 will be the year that cable breaks free of its terrible tiered chains. Anything that you can get on cable will find it’s way to an ‘on-demand’ or ‘pay per view’ service. The gap between date of broadcast and the window for PPV will narrow or disappear. Cable content will become on demand content. Prediction #2. 2012 will be the year of the OverTheTop revolution. While pundits, myself included, have heralded the coming herd of cable cutters. So far, they’ve been the outliers and early adopters. It’s seemed so painfully close–and so many devices had pieces of a solution. Boxee was the leader in the open world of web content. Roku had apps and file playback. Apple TV had a well-scrubbed ecosystem. Tivo had DVR functionality and off-air recording. And Google TV had a broad consumer electronics offering with Logitech. But none of them had the ‘killer app’ quotient that made them runaway winners. That’s all about to change. Boxee is adding a tuner, Roku is connecting with more services. And offerings like Netflix, Hulu, and Amazon Prime Video are making the leap to multiple devices and screens. Services and boxes will merge. Flatscreens will get smarter and more easily connected. The distribution bottleneck will dissolve. Prediction #3. YouTube and Google TV will merge (really this time). It’s been five years since Google bought YouTube. Both companies have grown and prospered, but they’ve remained separate companies. There have been attempts by Google to monetize YouTube with various ad formats, but it hasn’t been terribly successful. Why? Because the buyers of text ads don’t want to pay a premium for video, and video is notoriously harder to target. Meanwhile, Google video closed its doors, and Google went down the road of content aggregation trying to find value in the search space around video. That too wasn’t a huge win. But now, with Google TV 1.0 a distant memory, there’s a clear path to profitability for the search giant. Prediction #4. Yahoo will emerge as a big creator and distributor of video. While it’s easy to let Yahoo’s corporate drama draw your eye, the company continues to make a conserted effort to build a solid video business. While AOL has dipped its toe in the content waters, Yahoo has jumped in feet first. In particular, Ross Levinsohn’s well-executed partnership with ABC News is a clue about just how seriously they take video. “In this time of enormous economic and global challenge, the Yahoo! audience will determine the next president of the United States. We’re building Yahoo! News to be the source for political coverage, harnessing the voices, opinions and proposed solutions of Americans from across the country to deliver content and reporting focused on the issues and decisions that voters and their families must deal with daily,” Levinsohn said. Bravo. Prediction #5. Business video will arrive as a real targetable business opportunity. There are some basic truisms in business (and in life), and one of them is: “Nothing in this life is free.” For the past 10 years, consumers, business, and even media have gorged themselves on the wonderful access to free video. The cost of bandwidth has continued to fall, giving the large players an edge, even as ad revenues and CPMs have continued to fall. Business has been late to the party, but in the past year more companies have begun to explore the idea of making and sharing video with their customers. Many of them are using a free UGC uploader, building in some cases large collections of video on third-party servers. But the free video party is about to come to an end, as more and more low-CPM ads and obtrusive ad formats appear. This is going to give businesses the need to find new homes, and new solutions, providing a boon to the SMB video market. 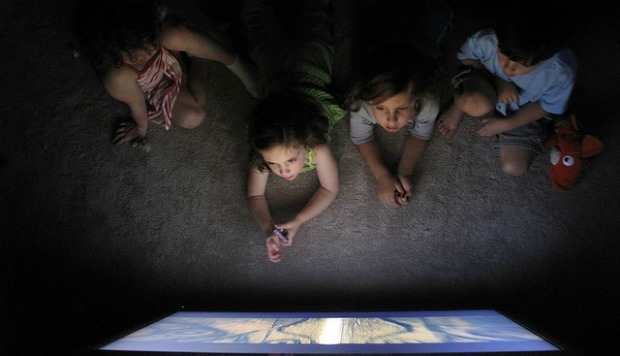 Expect big changes in how video is made, shared, and consumed in 2012. On the content side of the world, it appears there is now a consensus that everyone needs to be a publisher. This means brands, networks, and print media all are vying for a spot in your overflowing content inbox. What is a publisher in this new world of digital overload? It used to be publishers were content creators, but increasingly publishers are taking on the role of content filters. Finding, organizing, and presenting coherent content is wrapped in to the role of curator that brands and media now embrace. Magnify.net sits squarely in the center of this revolution. As the web’s largest video-curation platform, we watch as Parenting.com, TEDx, and Patagonia all power their video experiences with our flexible toolkit. The big surprise in the future of video delivery is that it may not be the flat screen at all. The Amazon Kindle Fire, the newest kid on the tablet block, is off to a stunningly fast start as a video and VOD platform. IHS Research projects Amazon will ship 3.9 million units in Q4, recording a 13.8 percent share of global tablets shipped, compared to Apple’s 65.6 share. While the data is still new, all indications are that Kindle Fire is going to burn up the video consumption charts, making Amazon Prime Video a powerful contender for table, OTT, and mobile video consumption. The next twelve months are going to be transformative. Web video will become simply “video”–made everywhere and consumed everywhere. And brands and companies, who’ve contemplated using video to tell their stories or connect with consumers, will find that the train is leaving the station. It’s time to get on board the video express, or be left with an unpunched ticket in your hand.